The retail investors who want to put their toes into cryptocurrency to diversify their portfolios are facing a dangerous, volatile market – virtual currencies have lost $350 billion in value year-to-date due to orders from regulators & hacking. Cryptocurrency market, which consists major digital currencies and bitcoin, crumbled June 22 as the majority of the coins dipped by up to 10 percent due to six exchanges in Japan that were ordered by the Financial Services Agency, its financial watchdog, to upgrade their current practices, and as two exchanges site was bugged (hacked) within an 11-day period. So losing billions of dollars in market cap for cryptocurrencies is not unusual. In December, bitcoin reached a high of $20,000 but falls to $8,500 by mid-March. Virtual currencies are facing more losses due to hackers, and within the past two weeks, $70 million of cryptocurrency seized. Bitcoin is now trading less than $6,000. Investors who want to invest in bitcoin, the primary cryptocurrency, and other virtual coins such as ethereum, ripple, litecoin, and monero should follow these tips from traders. The expect lots of volatility. When a movement of 5 percent is enormous in equities, a change of 20 percent within a day in cryptocurrencies is "actually quite normal," says Mati Greenspan, a senior market analyst at eToro, a Tel Aviv-based social investment network. The "Blockchain technology is considered to be in the testing stage, and that, there is always a possibility that any digital asset can go to zero," he says. 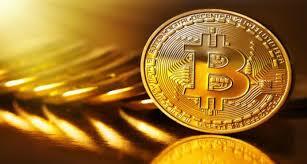 Since all the virtual currencies remains a speculative asset, investors should not buy them for their retirement portfolios, says Jason Spatafora, co-founder of Marijuanastocks.com as well as a Miami-based trader and also an investor. Cryptocurrencies made more than 2 percent of his wallet a few months ago, but he is no longer trading them because of the extreme volatility. Ordinary sense does not apply to some traders. In October, Spatafora started trading litecoin, ethereum, and bitcoin. Learn the market and understand whether any of the cryptocurrency is undervalued. But, he found many of the investors exhibited irrational exuberance by believing the virtual currencies would not stop their climb in the marketplace. 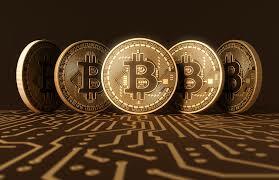 "Say bitcoin is trading at $10,000, then a lot of selling occurs & causes panic, and some investors reenter at $7,000. The bitcoin then bounces at $8,000 but goes back down to $6,000, and people buy back in thinking it's going back up and they are making money hand over fist. He says "People always think they are going to go in and buy when it's the dip,"
Cryptocurrencies are a different kind of class because both the volatility and risk are much higher. Both short- and long-term traders can profit. Since it is still in a very nascent stage, the likelihood that some of the "best projects have yet to emerge" is high, Greenspan says. Both short-term traders and long-term investors can find advantages in trading bitcoin. Day traders will see the cryptocurrency market provides a high level of volatility rarely found elsewhere. Because cryptocurrencies are not related to other markets, a small percentage of crypto may "actually add stability to a well-diversified long-term portfolio, he says.